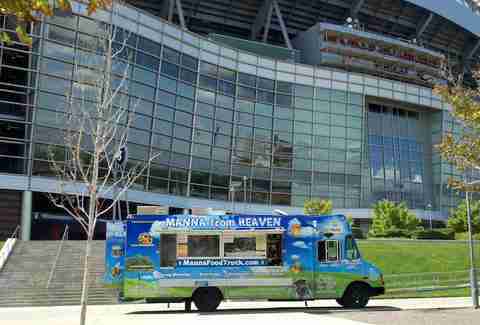 For many people, choosing their favorite Denver-area food truck is like making them pick between the Broncos and the Roc... oh, it's the Broncos? Ok, perhaps that wasn't such a tough choice. 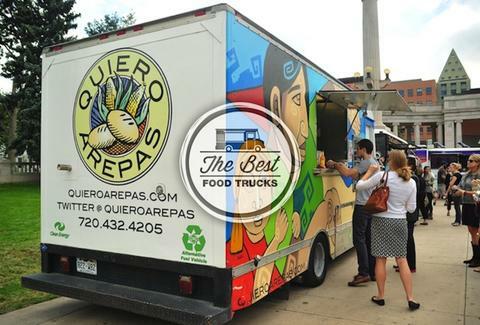 We also had no problems finding the eight best food trucks around Mile High, which run the gamut from Vietnamese to good ole American cooking. Manna from Heaven: Known for their nutritious, fresh ingredients and their take on Vietnamese-inspired food. Dish To Get: Potstickers. Vietnamese-style dumplings in wheat wrappers, crispy on the outside and served with a Manna-made citrus soy dipping sauce. Quiero Arepas: Their Venezuelan arepas, which are traditional South American corn cakes, can be stuffed with anything from jelly, cheese, meat, or vegetables. But not all at once, unless you're also the type of person who gets a little bit of every soda at a soda fountain. Dish To Get: The Pabellon, an arepa filled with shredded beef, black beans, sweet plantains, and mozzarella cheese. 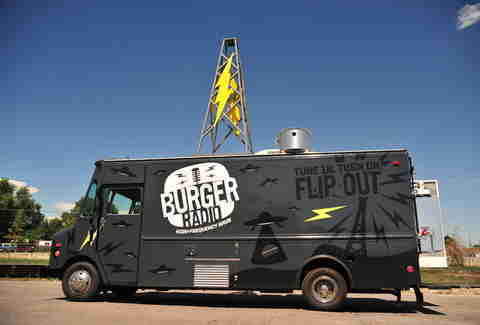 Burger Radio Truck: A brand new burger truck that does crazy concoctions in between a bun (and sometimes grilled cheese sandwiches). Where To Find It: Since they're brand new, tune in to their Facebook to find them. Dish To Get: The standard Double Cheeseburger is as simple as it gets burger-wise, but packs a whole lotta flavor. It's two hand-ground beef patties, American cheese, a thick slice of white onion, and tomato. Add bacon and sautéed onions if you know what's good for you. And you do, because you're reading this. 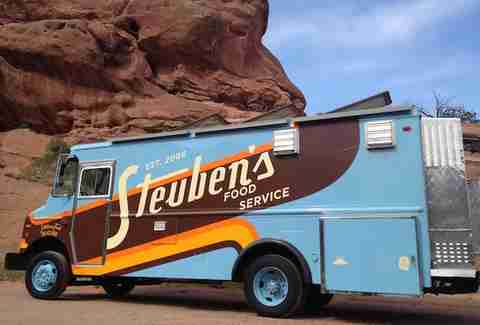 Steuben's Food Truck: An extension of the ever-popular Steuben's Food Service storefront, this truck serves up American homestyle goodies like pulled pork sandwiches, deviled eggs, and burgers. Dish To Get: Steubie Snacks. Bite-sized pieces of braised pork shoulder are fried and tossed with powdered sugar, salt, and pepper. This is meat candy at its finest! 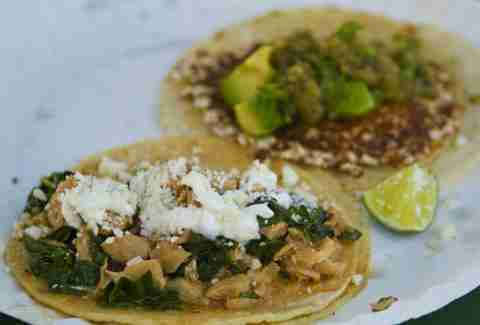 Pinche Tacos: Delicious authentic tacos with a modern twist, Pinche Tacos grew such a large fan base that they now have two brick-and-mortar locations. 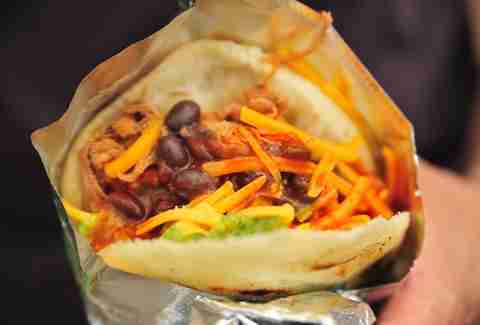 Where To Find It: Civic Center Eats, but check their Facebook for other spots. If you can't find the truck, check them out in the Cheeseman Park or Highlands neighborhood. Dish To Get: The Lengua Taco. Yes, lengua is tongue, but it's from Colorado and it's triple-cooked, mostly because a tongue from Wyoming that's only been double-cooked would be straight nasty. The tongue is crispy, yet tender, and is topped with avocado, onion, cilantro, tomatillo salsa, and guajillo honey mayo. Basic Kneads Pizza: A wood-fired pizza from a food truck is hard to find, but Basic Kneads knows how to do it right! 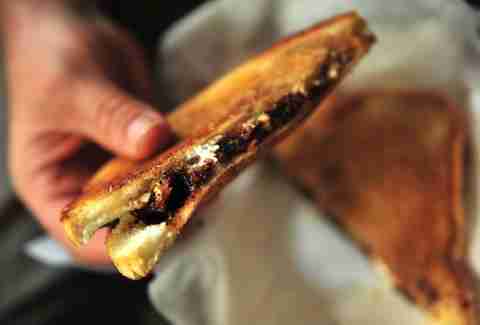 They use locally-milled organic flour, local meats, and seasonal ingredients. Where To Find It: Great Divide Brewery on Wednesday and Friday nights, and Denver Beer Co. on Thursday nights. Check here. Dish To Get: Sweet Thai Chili Chicken pizza. The flavor combination is perfect, giving you a mouthful of sweet, savory, and a little bit of spice in every bite. 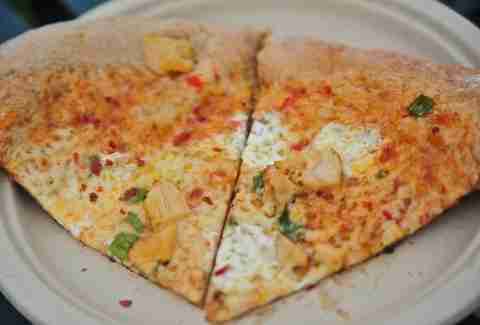 Thai chili sauce, chicken, cheese, cilantro, and green onion adorn this thin-crust pizza slice. 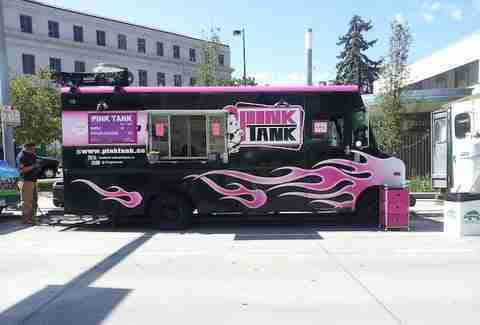 Pink Tank: Go for their breakfast, lunch, and dinner options, all of which appear to be on steroids. Case in point: crazy meal combinations like a French toast burger, a hot dog with peanut butter, and pancakes with a banana/ caramel/ maple/ peppermint topping. Where To Find It: They are all over Denver, so check out their Facebook. Dish To Get: Finger Lickin' Waffles and Chicken consists of three chicken legs tossed in their homemade hot sauce, topped with bacon crumbles, and served atop a freshly made Belgian waffle. A caramel-maple syrup and homemade hot sauce ice cream sits on top of the waffle. Hey PB&J: This truck'll get your nostalgia for school lunch going, but they're way cooler than PB&J out of a jar, as they make a lot of their own spreads, like peanut butter, almond butter, and wild blueberry jam. Dish To Get: The Thai Sandwich is made with their house-made spicy peanut butter, coconut, orange marmalade, crushed peanuts, and fresh basil. We're surprised this sandwich isn't served from a Ford sedan, as it's all about fusion.